Madhya Pradesh state government is trying to improve the employment condition in the state by launching various schemes to cover unemployed youths. Even then lot of young people are still unemployed, to get work they either move outside the state or involved in wrong task. To solve this problem government is trying to give many offers to young’s so that they can set up their own work and will not move to other places for employment. To complete this plan MP government introduced a new plan for young called Mukhyamantri Yuva Swarozgar Yojana (MMYSY) in Madhya Pradesh. This Yojana is started in Aug 2014, Under this people get financial help in form of bank loan to setup their small business. Under this scheme government provides different facilities like margin cash help, interest subsidy, loan assurance and guidance for business to the receiver. The basic purpose of this scheme is to put the state as business enterprises on the map of India. This scheme is to promote entrepreneurship in the MP without the required for guarantee security. 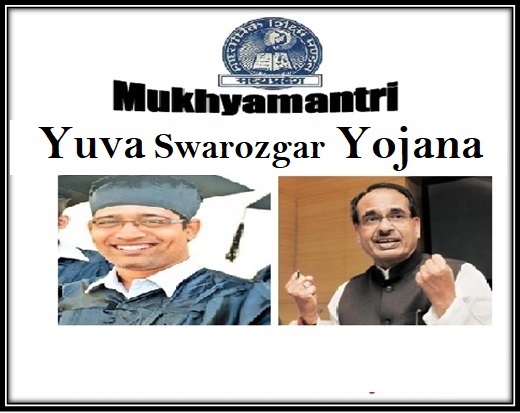 Under Mukhyamantri Yuva Swarozgar Yojana (MMYSY) in Madhya Pradesh, the government gives loans up to Rs 20,000/- to Rs. 10,00,000/- to the eligible applicants of MP state. To get loan for their business young’s also having not to do more efforts. It is easy process and one who follows the eligibility criteria can easily get the loan. And can become owner of its own work. Only the MP resident’s person can apply for this scheme. People who are outside the MP State cannot apply for the loan under this scheme. The candidate must have at least 5th class certificate. People who are not educated cannot apply for this scheme. Only adult people can apply for this scheme means a person must be above 18 and less than 45 for this scheme. The applicant should not have been confirmed cheater in any of case by any of the state-owned or private sector banks. The candidate should not get benefit from this scheme or some other scheme run under the state government. The scheme is accessible only to startup own manufacturing/service corporation or business. Under this scheme, applicants must be between the age group of 18 and 45 years. They will get anything between Rs. 20,000 and 10 lakhs. General category candidates will receive marginal monetary assistance of 15%. In case the applicants have BPL certificate, or they have ST, SC or OBC certificate, they will receive 30% marginal monetary assistance. Apart from these, people who are victims of Bhopal gas tragedy will stand a chance to receive 20% marginal monetary assistance. The state will offer subsidy of 5% and 6% for male and female applicants. This subsidy amount will not be more than Rs. 25,000 each year. Guarantee fee will be charged as per standard rates for as many as 7 years. First of all candidate have to get application form his concerned district office also Application forms for getting loans under Mukhyamantri Yuva Swarozgar Yojana can be downloaded from the official website of state https://mmsy.mponline.gov.in/Quick%20Links/DCIE/DCIDocs/MSY_Scheme.pdf. The application forms are accessible without any cost in the related district office. The application forms will then be reviewed as well as sorted. Applicants with deficient forms will be called to complete the missing details in the forms. The applicants shall submit the general project report of proposed project together with the application form. Application forms will then be explained before the selection committee of respective department elected under the scheme. Loans for all the accepted applications will be released within 15 days after the acceptance of the application. After the loan payment, the applicants will be given proper training for the development of their industry/businesses by the government. No doubt that this is good scheme for the young talented people who seek financial assistance and unemployment rate will decrease once people get started benefits from this scheme. So those who are interested in setting up their own business and have some business ideas in their mind can make use of Mukhyamantri Yuva Swarozgar Yojana by our government.